The Fitueyes Monitor Stand System with Multi- colors adjusts monitor height to an optimal viewing angle to help to reduce eye and neck strain. 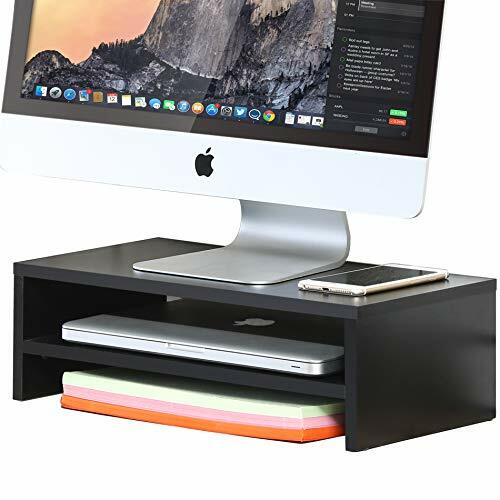 This sleek monitor stand also expands usable desk space by allowing storage underneath the platform. The laptop stand is also a great desk accessory to enhance the visual organization of your desk; simple and slim design fits perfectly into any decor, adds an elegant look to your desktop or work area. This item is multi-function, it can be used to raise your monitor, also can be used as a tv stand.